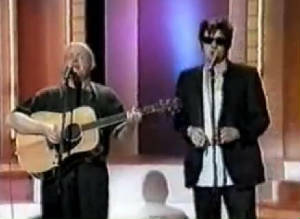 Spancil Hill lyrics and chords Recorded by Christy Moore with Shane MacGowan, The Wolfe Tones, also by Johnny McEvoy. the sheet music and tin whistle notes are included. Written by Michael Considine Spancil Hill is between Ennis and Tulla County Clare The song dates back to the 1870s. At the parish Church near Clooney,a mile from Spancil Hill. She was Meg the farmer's daughter,the pride of Spaincil Hill. How to play Spancil Hill on the guitar, the video is of myself. It's here to help you learn the song and when to change the chords. I use a capo on the second fret, it's optional, you don't have to use one. Sheet music and tin whistle notes for below. the key of Dm and uses the chords below. Me mind being bent on rambling, to [C]Ireland I did [G]fly. 'Til [Dm]next I came to [C]anchor at the Cross of Spancil[Dm]hill. My mind being bent on rambling and to Erin's Isle I did fly. 'Till I gladly came to anchor at the Cross of Spancilhill. Where in my early childhood, I often times have been. 'Tis that little stream of water at the Cross of Spancilhill. Where all my school companions, in crowds assembled 'round. Oh I thought we were all young again, at the Cross of Spancilhill. At the parish church of Clooney, just one mile from Spancilhill. In hopes for to be ready, to climb the Golden Stair. To Martin Moilens music, at the Cross of Spancilhill. Sure Erin's sons and daughters, they all assembled there. What a curious combination, at the Fair of Spancilhill. Sure I only met my strange faces at my home in Spancilhill. The old were getting feeble, and the young ones turning grey. Sure he always made my breeches when I lived in Spancilhill. She's as pure as any lilly, and as gentle as a dove. She is Mack the Rangers daughter, the Pride of Spancilhill. And I awoke in California, far far from Spancilhill. In hope to see that dear old spot, some day before I die. On that Glorious spot of Nature, the Cross of Spancilhill.